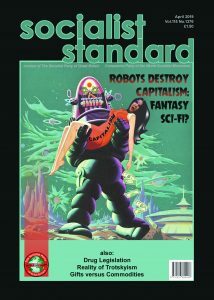 The Socialist Standard is a monthly socialist newspaper published without interruption since 1904 by the Socialist Party of Great Britain. The newspaper is written in a simple, direct style and focuses mainly on socialist advocacy and Marxian analysis of current events, particularly those affecting the United Kingdom. It was placed on a secret list of papers and magazines banned for export during World War I, for its call for workers to refuse to fight for their countries and instead join the class war. In 1915 it published an article written by a member of the Bolshevik party calling for a socialist solution to the war. In 1918, however, the paper voiced the first doubts of the SPGB regarding the Bolshevik Revolution in Russia. In the 1930s it drew on the reports from Spain to produce articles on the looming menace of aerial warfare. During World War II the magazine evaded the censor largely by producing a series of articles on the Peloponnesian and similar ancient wars as a cover for the Party’s opposition to the current one. 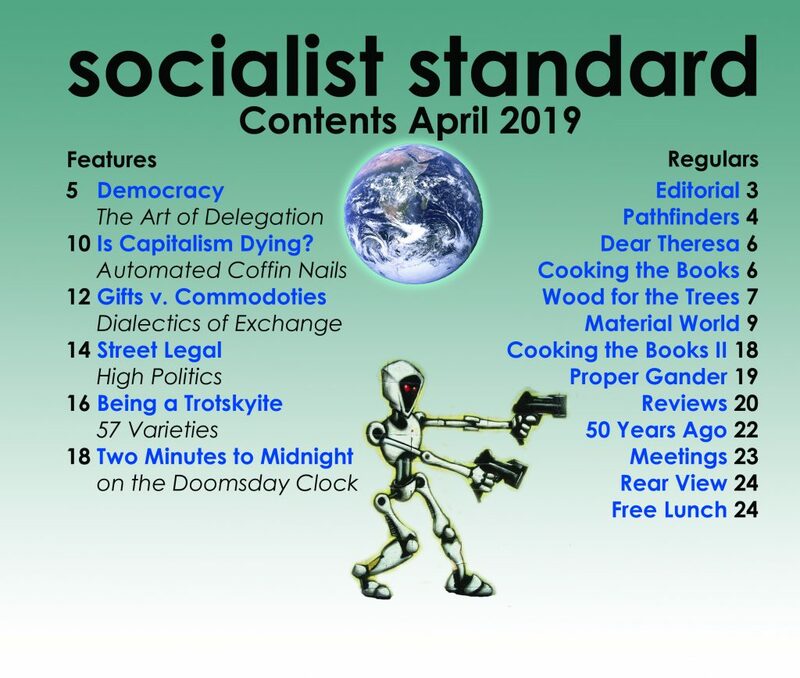 The SPGB maintains that it is not a left-wing organisation nor its journal, The Socialist Standard a left-wing journal. ‘Left-wing’, it contends, has simply become an umbrella designation for protest groups and organisations demanding amendments and reforms to capitalism. The SPGB and the World Socialist Movement (with which the SPGB is associated) contrary to the views and aspirations of these myriad groups and organisations that would claim to be left-wing, affirms that capitalism is incapable of meaningful reform;that quintessentially the basis of the exploitation of the working class is the wages/money system.